Yesterday I shared one of the cards I made as an entry for the Pink Stamper Design Team. Here is card #2. This stamp set is in our new Occasions catalog and it is perfect for your Valentine's Day cards and treats. 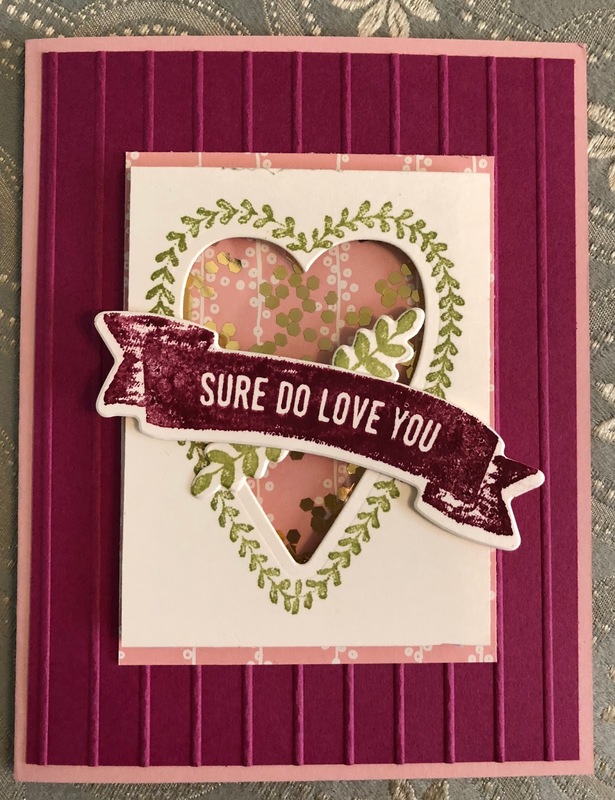 It has a coordinating die set that even cuts out an adorable Valentine's conversation type box. I will have to share that one with you on an upcoming blog post. I decided to make this card a shaker card, using our acetate window sheets and the fun gold sequin flakes also available in the Occasions catalog. I will share a link to all these products below. Her is a close up of the fun sequins behind their little clear window. I am going to share this card in an upcoming swap event I am going to participate in next month. What do you think?